Thank you for flying with MAI! - Starting from 4 April, we have additional Friday flight to Singapore. 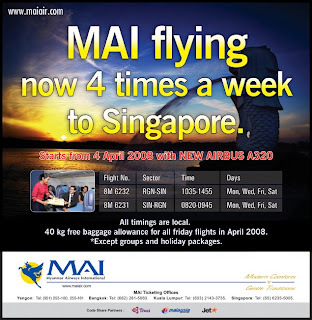 - 40kg free baggage allowance on Friday flights till end of April 2008. Where as MAI is Myanmar Airways International Airline.